Everything you need to know to delight your customers after they’ve placed an order. The moment you get your first order online is something special. You feel a rush of adrenaline, and burst into action - preparing the order, sending it to the customer, and waiting anxiously for any feedback. The thousandth time you get an order online is very different. And by the ten thousandth time, you’re juggling hundreds of orders a day, multiple sales channels, and a lot of details across the business. Managing this process step by step is complex, but we'll guide you from start to finish and cover everything you need to know about order management. Do You Need an Order Management System? Introduction: What is Order Management? Let’s make sure we’re using the same terminology and definitions throughout this guide. Order management is the processes, workflows, people, and ways that get products to customers. It starts right when the customer places an order from you and ends when their package is safely in their hands. But there’s a lot that happens in between those two events, and a lot of different ways that process can be completed. 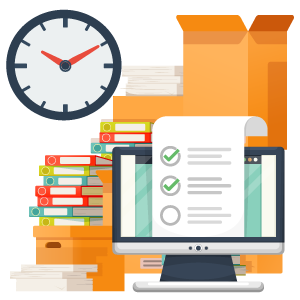 It can take hours, days, or weeks, depending on your business and your products, and typically it's done using an order management system. 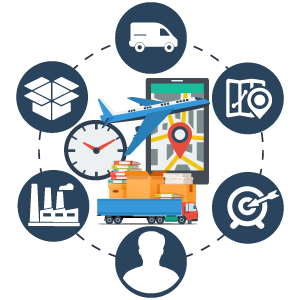 Order management is a catch all of many similar commerce operations - it encompasses inventory management, fulfillment and warehouse processes, and the intangible connections between the systems that make that happen. Because it’s such a broad term, there are many individual functions and processes that make it up, and with each of those, there is room for incredible efficiency, or disastrous inefficiency. For many businesses, the way that orders are managed will be a determining factor in the loyalty of their customers. After all, if you remove price from the equation, delivery speed and communication make all the difference. For more on this topic, check out: What is an Order Management System? Not every business needs an OMS - the purpose of this guide is to help you understand if your company would benefit from using an order management system. In general, every business can benefit from an order management system, but some will benefit more than others. The thing these businesses all have in common is that they have orders coming in from multiple sources, which makes routing and handling difficult if they are not automated. In the past, this would be from phone or mail orders, but today it extends to much more beyond that. The purpose of an order management system is to organize all orders you receive, from all channels, into clear and manageable tasks, and facilitate the fulfillment of those orders. Tracks inventory locations and levels, and updates them based on purchases. 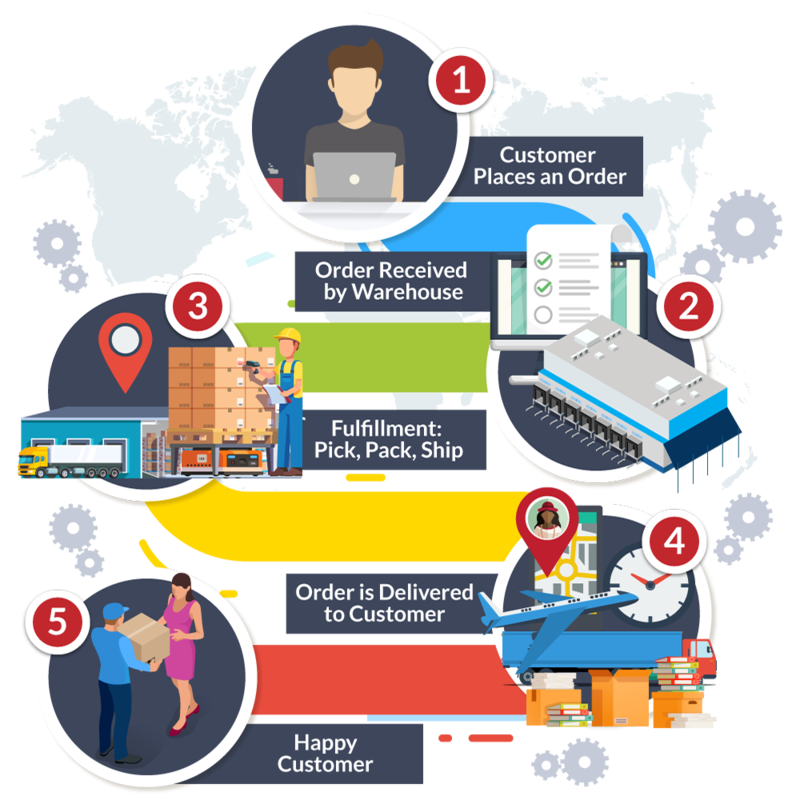 Tracks orders through their fulfillment processes, and sends shipping information to the sales channel, which is then sent to the customer. Creates and prints picking lists, packing slips, and shipping labels. Who Should Use an Order Management System? 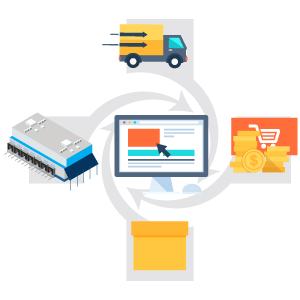 If you sell online through a single ecommerce website, an order management system might not be the best fit for you. They really begin to show their value when there are multiple channels for orders or fulfillment. This is because an OMS has many functions built into it, and because they are within a single platform, it is greater than the sum of its parts. We’ve seen successful companies using two specialized platforms for inventory or fulfillment, but they need to be connected, which is less reliable when compared to a comprehensive system. Because an OMS contains all of these functions, they can have a relationship that might otherwise be limited by the technical integration of separate platforms. When Do I Need to Switch to an Order Management System? The rule of thumb for knowing when to use an order management system is if you have multiple channels or locations. Once you’ve expanded the business significantly, there will start to be totally natural growing pains in fulfillment, leading to slower processing, manual processing, data loss, or a drop in customer satisfaction. When that happens, it’s time to begin considering moving to an all-in-one order management system. Let’s focus on the steps of the order management process that take place in a warehouse, since they are typically the end users of an order management system. Keep in mind that this is a simplified version of the order management process steps - your flow will likely be different from the one pictured here. Inventory is adjusted automatically. When an order is placed, the order contents are subtracted from the total inventory. This is especially important when selling through multiple channels, retail locations, or when using in-store fulfillment. Real-time inventory means that every sales channel has the same data. Order is routed. If you have multiple warehouses, use different shipping carriers, or have special instructions for certain types of orders, all the magic happens in this step. This is also the biggest opportunity for efficiency, because many of these subprocesses are still performed manually. 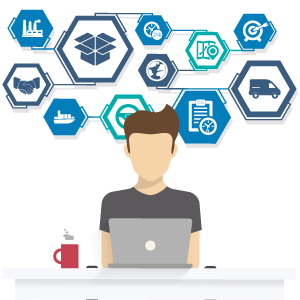 Read more about how these shipping decisions are automated in SkuNexus. As you can see, this step has little human involvement. Ok, if you’re managing your inventory through an Excel document, then you might be doing this by hand. But ideally, these steps happen automatically, instantly, and are error free because there is no human input, just systems being updated. Picking. Making sure the order that employees pick from shelves is a single route is one way warehouse managers increase overall efficiency. Choose the right picking method based on your warehouse layout - sometimes it may be more efficient to do batch picking rather than single order picking, or have dedicated employees for picking. Packing. For perishable goods, refrigerated or frozen items, and delicate products, the packing process needs to be adjusted. While this is true for all products, it’s important to have a different process for each type of order. It might be as simple as doubling the amount of packing material or using dry ice, but it should be documented so all employees are performing the same process. Shipping. Having already chosen a shipping carrier for this order based on its contents, an employee affixes the shipping label to the package and brings it to the designated pickup area for the shipping carrier. Fulfillment is far more manual than the previous step in the order management process. There are fewer areas for automation, since picking and packing is usually more efficient if done by hand (unless you’re Amazon). This highlights the importance of having a documented, clear process for employees to follow. If employees aren’t performing the same task the same way, inconsistencies will arise, which can cause a slew of problems - costing you revenue, customers, or both. This is why it’s important to have a clear process that is followed by all - it creates efficiencies, benchmarks, and measurable ways to improve the process over time. The details matter, particularly when choosing shipping carriers or levels of service. This process will likely start as a manual one, and as certain products or groups of products are shipped, the most efficient method for shipping will emerge. When it does, document it, repeat it, and automate the decision if possible. However, where we notice there is difficulty is after the order is placed. With more channels comes greater complexity. 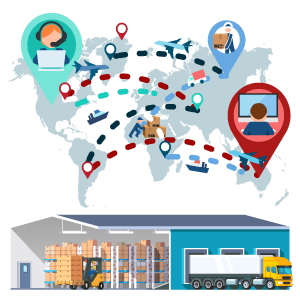 Since some channels may have specific requirements for shipping or fulfillment, there’s greater room for error if those orders aren’t routed properly. We’ve seen merchants use different systems for different channels, multiple systems for the same channels, and many other combinations. This complexity creates more points of failure, greater room for error, and more overhead to manage the different systems and their relationships. 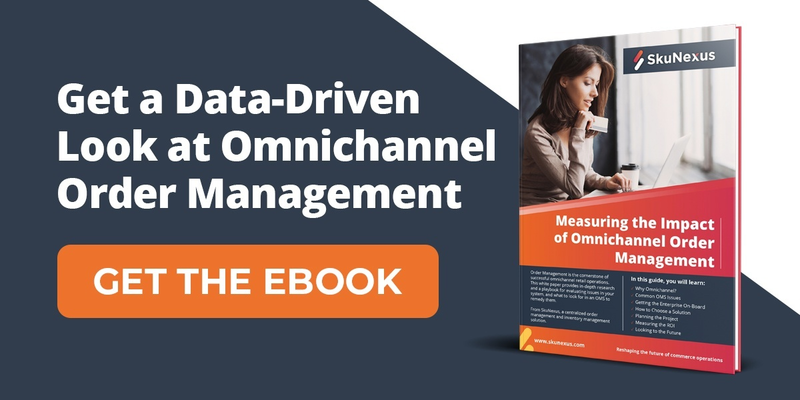 We recommend using a single system for omnichannel order management. Obviously, we want that system to be SkuNexus, but we recognize that we may not always be a great fit for every business. Having an up to date inventory count is vital, especially if you’re selling through multiple channels. Some may penalize you for selling while out of stock, and customers will inevitably be disappointed if the product they want isn’t available. Worse, if inventory levels take a while to be updated, you may have the embarrassing job of telling a customer that their item is backordered, after they’ve already purchased it. You don’t want to understock and miss out on potential sales, but overstocking comes with its own challenges as well. Space isn’t free - and each pallet of unsold product is likely going to cost you to store it. This can also lead to stock that decreases in value over time (think seasonality) or expires. Take a page from Goldilocks’ book here - you don’t want to have too much or too little inventory - you want to have just the right amount. Forecast inventory needs based on historical sales data. Knowing when to send out a purchase order lets you sleep at night without the inventory goblins chasing you. Implement a technique such as first-in first-out (FIFO) for all goods. This technique is an excellent practice to ensure that goods don’t remain on hand for too long, and makes sure inventory is always rotated. Regularly monitor and audit inventory management KPIs. Benchmarking your data is the first step towards improving your operations. Always keep inventory levels updated. An inventory management system makes this incredibly simple. This step in the order management process is the one with the most room for improvement via savvy automation of the right processes. Employees need to know what to get from the warehouse, where to get it, and how to navigate the warehouse quickly. They need to know how to pack each item or sets of items. They need to be able to finish one task, and move to the next quickly. They need to minimize times during which they are not productive (walking, waiting for things to print). Shipping labels need to be printed before they are needed. Shipping carriers need to be connected, and a level of shipping service chosen. Exceptions are identifiable, and there is a way to automate them as they are identified. Which Parts of Fulfillment Can Be Automated? 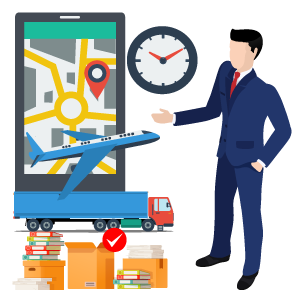 Employees can be given a smart pick list that optimizes their route through the warehouse, which can be organized so that they take a single path through it, reducing the amount of time they spend picking and eliminating backtracking. Similar to pick lists, packing slips can contain the exact requirements for packing materials, box sizes, and even orientation. It might sound frivolous, but knowing how to pack every type of order is a huge advantage in terms of reducing fulfillment times. Shaving off time between tasks or waiting for other functions is important as well. Automating the printing of shipping labels, pick lists, packing slips, and other materials is a great way to optimize the fulfillment process for efficiency gains. Imagine this: instead of 5 employees, working 40 hours a week, shipping 1000 packages, you have 5 employees, working 40 hours a week, shipping 1500 packages. And they aren’t running around like chickens with their heads cut off - they don’t have an increase in stress or time spent working. That’s possible if you’ve automated your fulfillment processes so that employees can focus on a set of clear, repeatable tasks. Knowing why you’re looking for a system is the first step. What functions do you wish you had, that you don’t have currently? Document those. What functions are indispensable in the system you have now (if you’re upgrading)? Document those as well. Congratulations! 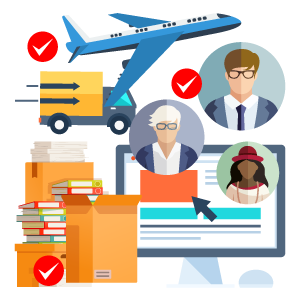 You’ve just created a wishlist for your perfect order management software. With your wishlist that you’ve just created, research the different systems available to you. 3. How Much Does Order Management Software Cost? There’s so many different factors that influence the total cost of an order management software. You’ll likely spend between $1,000 and $5,000 per month for a full featured order management software. Business Size and Sales Volume. Many OMS vendors will have a sliding scale on their pricing - based on your revenue, orders, users, or shipping volume. Package Level. As with many software solutions, there may be varying levels of packages, with higher, more expensive tiers offering more features, integrations, etc. Implementation. Depending on the complexity of your needs and the platform you decide to use, there may be additional costs for implementing, training, or on-boarding. Custom Integrations. Not every system will integrate perfectly with every other system. If you’re not able to create a solid workaround and you don’t have a native integration, you might be shelling out extra fees for working custom integrations. Support. This should be the lowest variance factor on the list, but some vendors might require an additional cost for support. The most accurate answer here is that it depends. You may end up spending more or less, but as long as you find the right system for your needs, it’ll save you a lot of time. 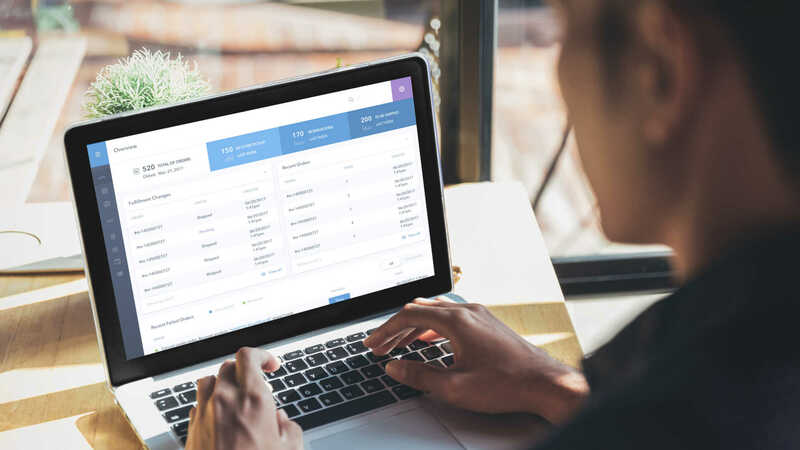 And if you can’t find a system that lets you do exactly what you need to do, consider SkuNexus, the only order management system that lets Enterprise users customize their entire system and processes with full access to the platform’s source code. Ready to talk about a new order management system? Let’s see if you’re a good fit for our fully customizable suite of tools.